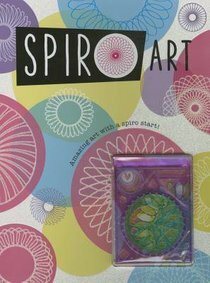 Innovative art book for creative kids with spiro-art tool for extra-special doodling! Spiro Art brings back the much-loved creative tool to help you design your own stunning doodles! Create spiro flowers, animals, stars and so much more with this fabulous book and tool!